Today, we’re going to make one of my favorite food prep recipes: hummus. Today’s hummus is slightly different than other hummus recipes because it doesn’t start with canned beans. Instead, this recipe starts with dry beans which are cooked in the Instant Pot (or electric pressure cooker of your choice). I know, we’re breaking out the Instant Pot, again. That, my friend, is because the Instant Pot is such a fantastic tool for simplifying food prep (or just making meals on the spot). During my food prep session last Sunday, I used my Instant Pot three times, to make four different meal components: eggs, black beans, a whole chicken, and chicken broth (after de-boning the chicken). Since I only have one Instant Pot, this took a number of hours to accomplish, but nearly the entire food prep session was hands-off. 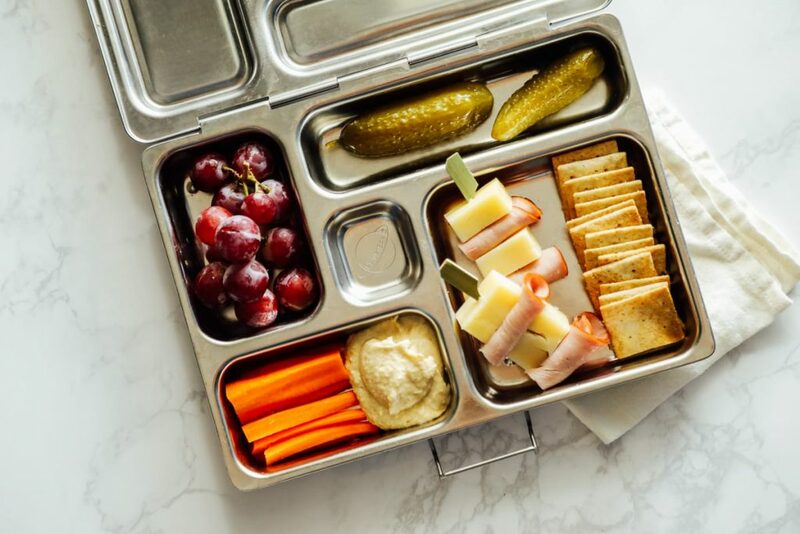 Talk about simplifying food prep and life! 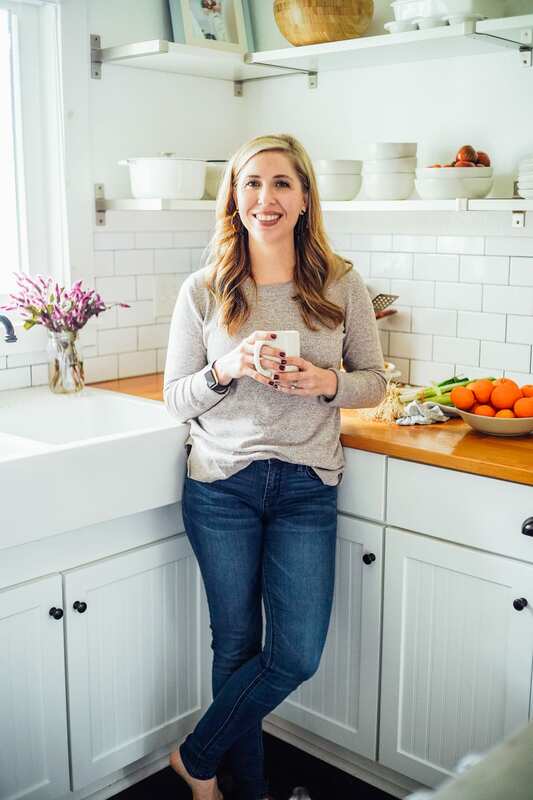 The base of this recipe starts with inexpensive dried beans, a pantry staple in my kitchen. 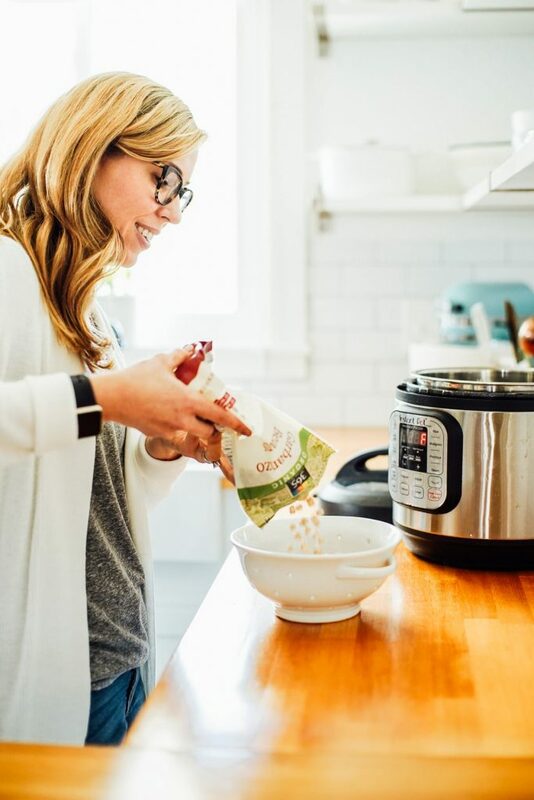 If you haven’t cooked dried beans in the Instant Pot before, and you have an Instant Pot, you need to do this ASAP. What are you waiting for? Dried beans cook to perfection when cooked under pressure. And, since the pressure cooker can improve the digestibility of the beans, you don’t need to soak the beans in advance. This means a package of dried beans may be cooked, without any soaking, in about 90 minutes. That’s seriously amazing!! In this recipe, I recommend cooking 16 ounces or 1 pound of beans. While you won’t use all of the cooked beans to make hummus, you’ll be using your time wisely and efficiently. Use some of the beans to make today’s hummus recipe or beet hummus (a beautiful pink hummus that’s won my daughter’s heart and tastebuds–recipe is coming), freeze the extras in a bag or container to make hummus again in the future (you’ll want to defrost the beans before making hummus), or turn on your oven and roast the extra beans to make crispy chickpeas (at 400F with olive oil on a sheet pan until crispy– an amazing salad topping or snack). 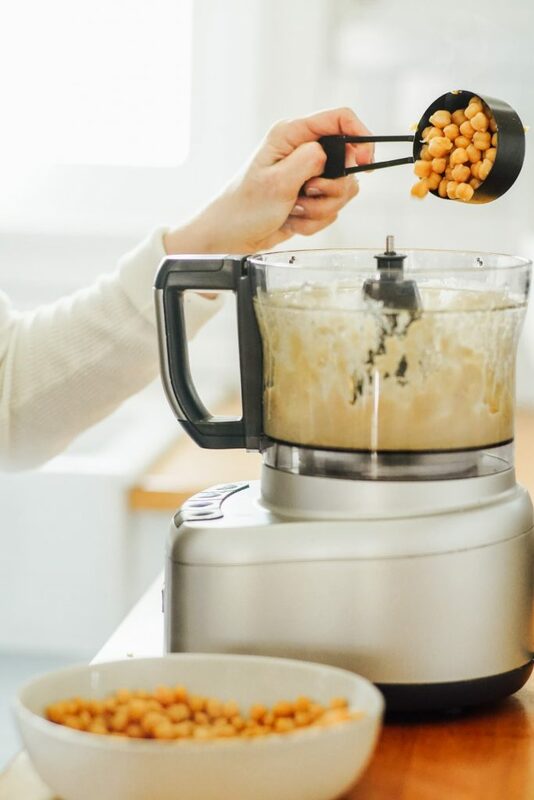 Once you turn dried chickpeas into tender, cooked chickpeas, remove the amount of beans needed from the Instant Pot (1 1/2 cups) and use your food processor to make homemade hummus. I know, I’m asking you to use two appliances here, but both appliances are definitely ones I recommend having or purchasing in the future. 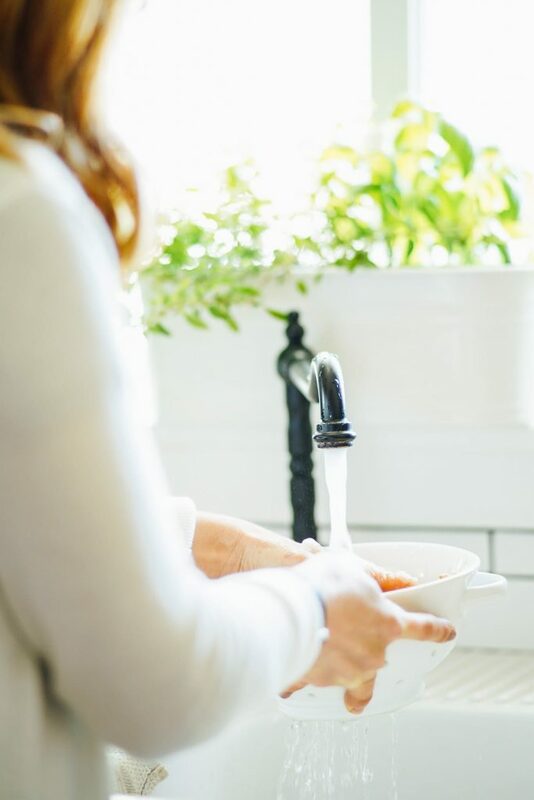 I’m not a big appliance advocate, besides the standard oven and fridge (and dishwasher), but there are a few tools that make a real food lifestyle easier. A food processor and Instant Pot are definitely on that list. 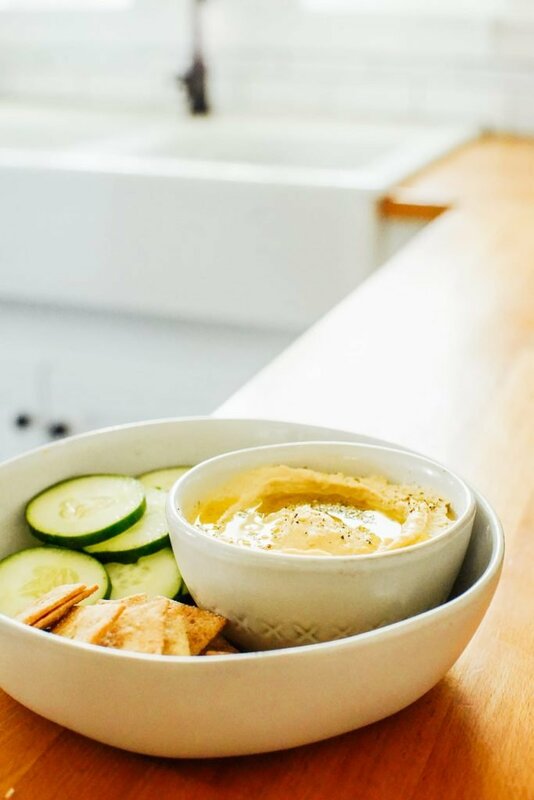 The food processor will turn the beans, tahini, lemon juice, olive oil, and other ingredients into a delicious spread of homemade hummus. And let me just say, homemade hummus tastes 1000 times better than store-bought hummus! It’s fresh and vibrant. 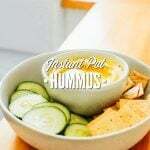 Use the hummus as a dip or a spread for sandwiches or wraps. 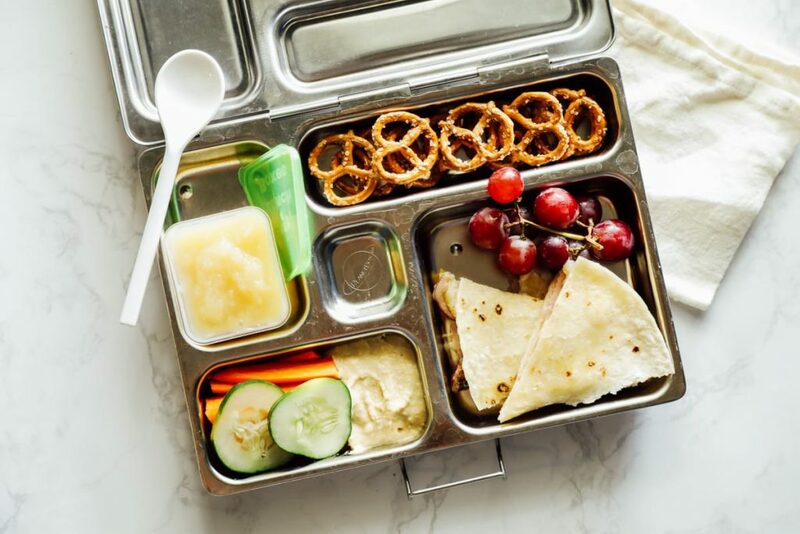 My kids love hummus in their lunchbox, accompanied by veggies, crackers, or cut pita. And I love having hummus in the fridge for snacking. 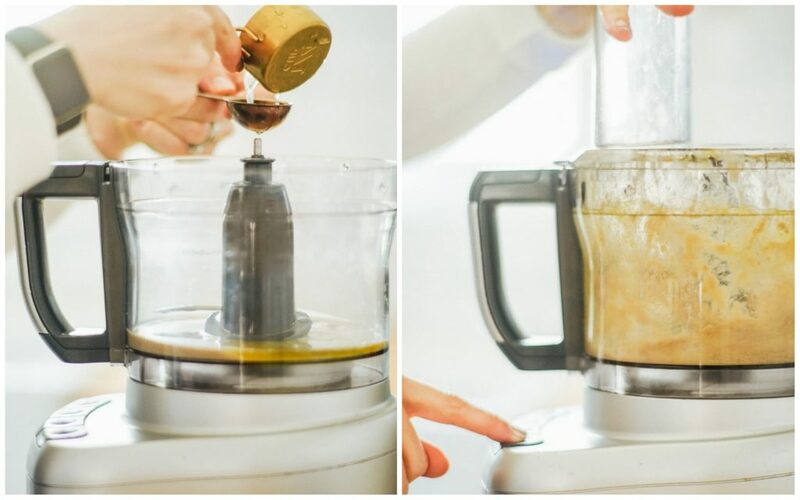 Food Processor Alternative: If you have a high-speed blender, you can try using it to make homemade. I personally haven’t had good success using a blender to make homemade hummus. 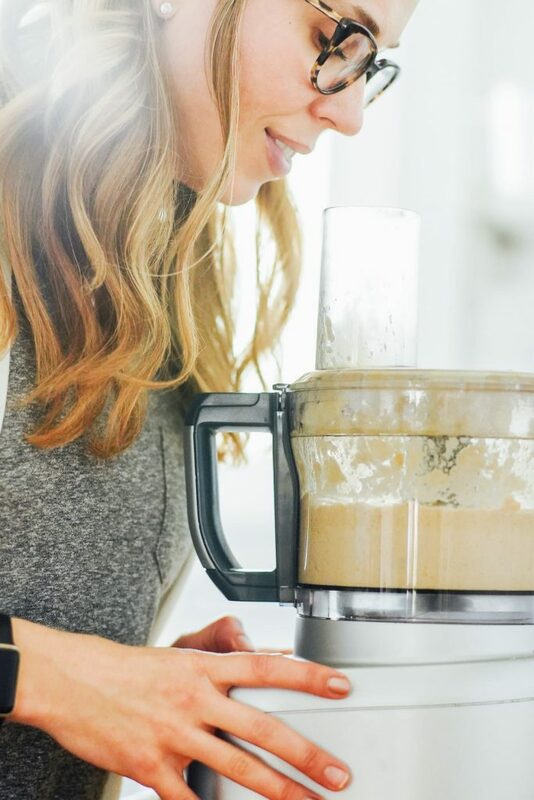 A blender is great for liquids, but doesn’t do as well with blending dry ingredients. 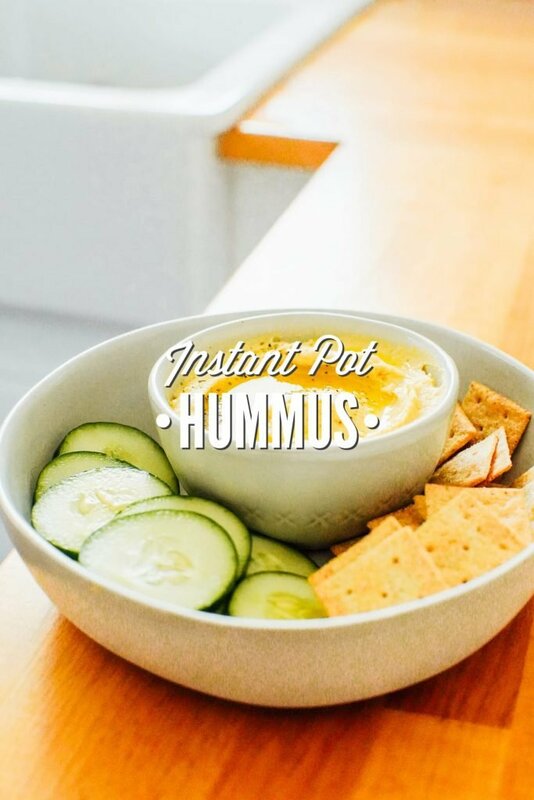 Use your Instant Pot to make homemade hummus. This recipe starts with dried beans cooked in the Instant Pot (or electric pressure cooker of choice). Rinse the beans and pick out any undesirables (stones, etc.) Add the beans to the Instant Pot. Add all the ingredients listed under "Instant Pot Chickpeas": chickpeas, olive oil, garlic cloves, bay leaves, salt, and water. Lock the lid on and set the Instant Pot to Manual, High Pressure for 35 minutes. The valve on top should be set to Sealed. 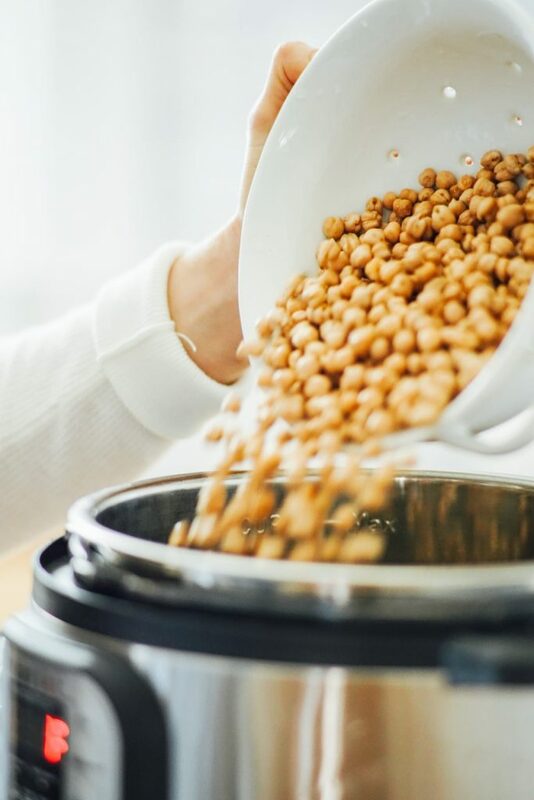 Once the beans are done cooking, let the pressure release naturally for 30 minutes before releasing the remaining pressure (use a hot pad holder or towel) and opening the lid. Remove the aromatics (bay leaves and garlic). 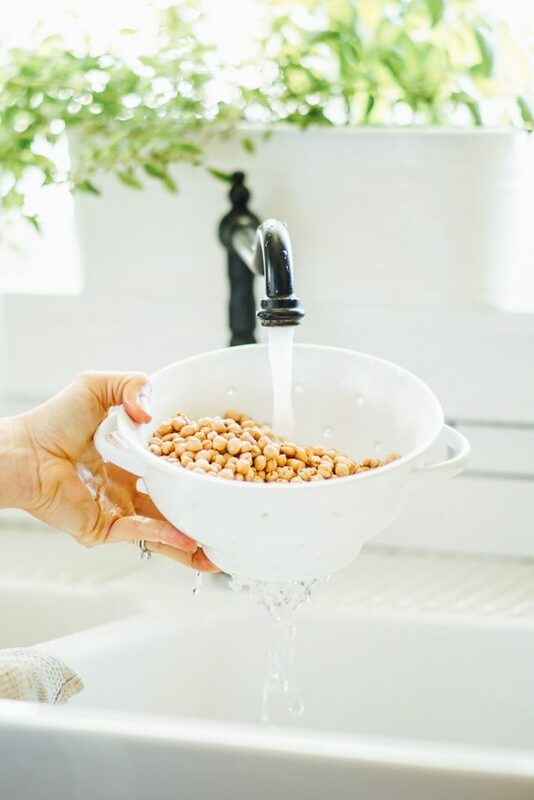 Use a sieve to separate 1 1/2 cups of beans from the water. You'll use the separated beans to make hummus. Drain the rest of the beans from the liquid, if desired. If you're storing some of the beans in the fridge, I recommend storing in some of the cooking liquid. 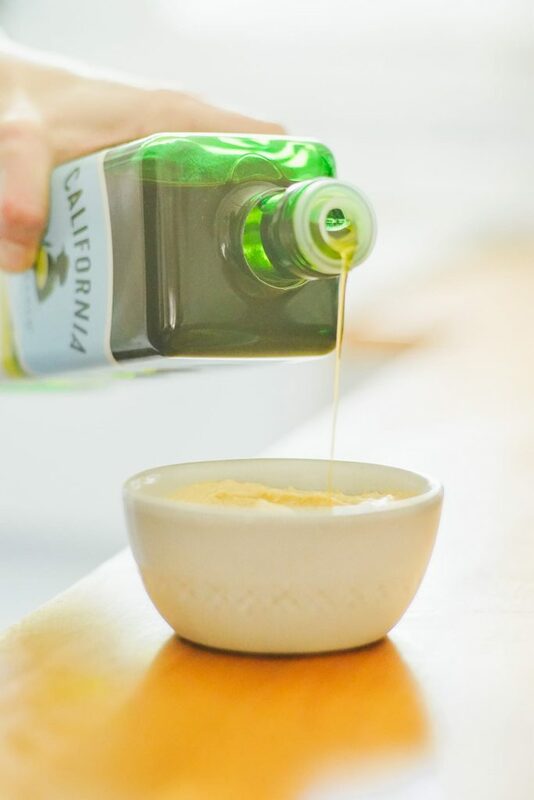 To a food processor bowl, fitted with the S blade, add the tahini, extra virgin olive oil, lemon juice, garlic, cumin, and salt. Pulse until creamy, stopping to scrape the sides of the food processor (removing the lid), if needed. This will take about 30-60 seconds. Add the cooked chickpeas (1 1/2 cups) and 2 tablespoons of cold water. Pulse until blended, adding more water through the chute of the food processor as needed to reach the desired consistency. I usually add about 4 tablespoons total. *Personally, I use more than 1 teaspoon of salt. I use 1/2 tablespoon; however, I know everyone has a different taste preference when it comes to salt. The cook time is based on 30 minutes of pressure cooking and 30 minutes of natural release. Keep in mind, it will take the Instant Pot an additional 20-30 minutes to actually come to pressure and cook the beans. 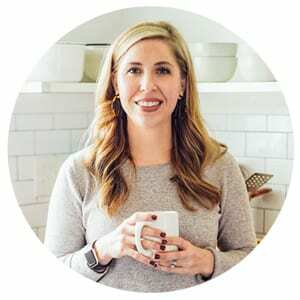 Learn more about how to use your Instant Pot, here. How to use extra cooked chickpeas: Freeze the extras in a bag or container to make hummus again in the future (you’ll want to defrost the beans before making hummus), or turn on your oven and roast the extra beans to make crispy chickpeas--at 400F with olive oil on a sheet pan until crispy-- an amazing salad topping or snack.